Daryl Ng complements his LEGO Han Solo’s blaster with the classic E-11 blaster rifle seen in the original Star Wars trilogy. 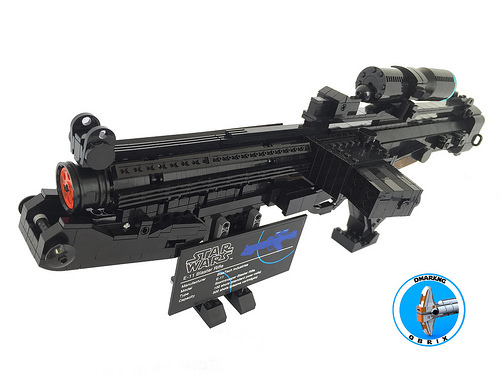 His LEGO rendition is true to the props seen on-screen, capturing the Sterling SMG underneath and various sci-fi details. 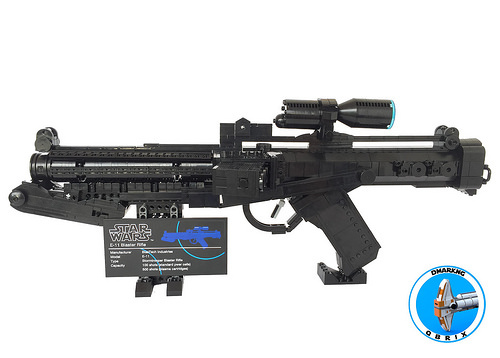 Like his previous blaster build, the E-11 is presented with a display stand featuring a UCS-style specification card. As expected, the blaster looks nearly as good in its builder’s hands as the real prop would.